Top your strawberry bagel with thinly sliced fresh basil for this simple recipe. 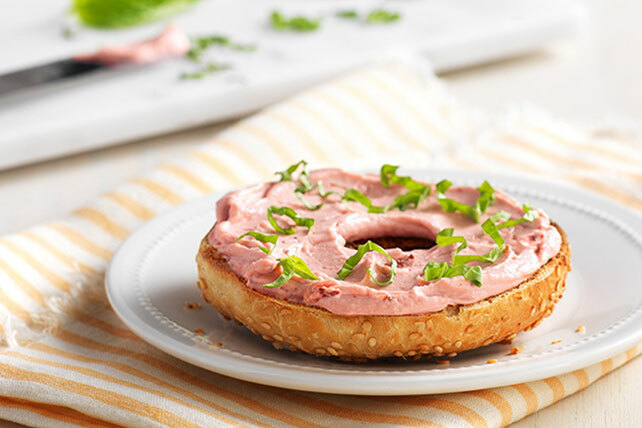 Basil-Strawberry Bagel is a new twist on a morning favorite. Spread bagel with cream cheese spread. Prepare using a plain bagel half.